The CC conical sifter provides a reliable and effective sifting action throughout long periods, while guaranteeing the ausence of foreign bodies in the production line. Conical sifters have a rotor with cleaning brushes that spread the product all over the liner’s surface, forcing It to pass through Its holes, leaving aside any foreign particle. CC Screeners are usually supplied without supporting structure so that It can be directly mounted on silos or bins. However, they can also be manufactured with such structure. Additionally, outlet hoppers and screening bins may be embodied. 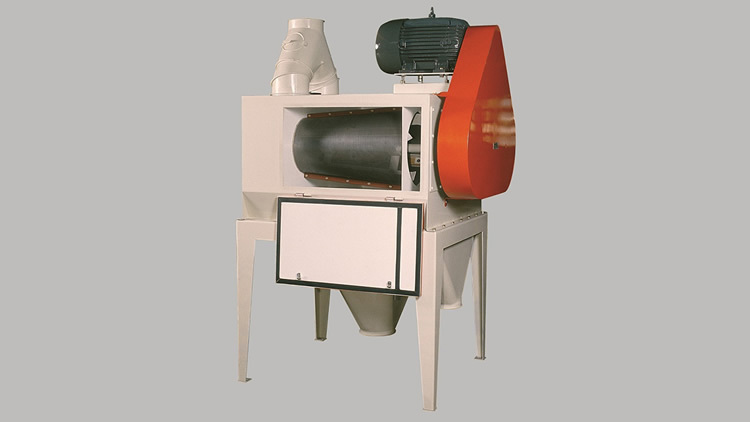 Due to Its simple design lacking in complex parts, the conical sifter requires easy maintenance.